A unique, historical wedding venue located in Vero Beach, Florida. Located in Vero Beach, Florida – the rustic charm and haunting ambiance of Waldo’s Garden is quickly observed by all who enter onto the grounds. Slowly but surely created circa 1911, builder, Waldo Sexton designed this haven using an abundance of driftwood, iron, and recognizable pieces from the collection of another well known architect, Addison Mizner. 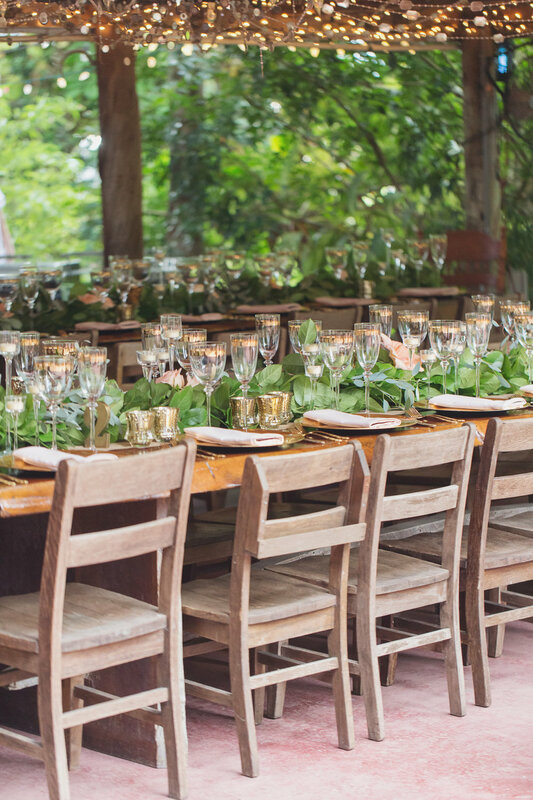 In 2012 a family friend asked to host an event at the property and soon after the property turned into a desired South Florida wedding destination! Weddings are held during the months of October through May on this 100+ year old property where the Tripson Family still resides. One of the most alluring attributes to this modern day secret garden is the majestic jungle mixed with old Florida tied together in an urban setting. it’s one of the few venues in Indian River County that can fit anywhere from 50-200 guests on its 12 acre parcel of land. The property is open for touring on Saturday mornings from 10am until 12pm (excluding June - September). Please visit our Contact Page to request more information. An elegant city located along Florida's Atlantic Coast, Vero Beach is a haven for golf, water sports and fishing. Peaceful beaches, museums, nature tours and a range of hotels make Vero Beach a terrific vacation destination and an important part of the region known as the Treasure Coast. Vero Beach also offers a fine selection of shops – both downtown and in large shopping malls – and delectable cuisine for all budgets. Also found in Vero Beach are museums, art galleries and many parks, some of which offer access to an enticing network of rivers and inlets.